The world’s biggest company is opening a new location in the country’s biggest city this weekend. 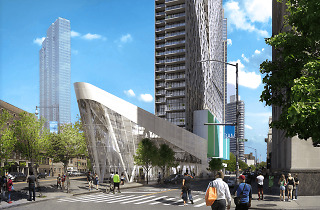 Apple announced on Monday that its latest storefront will debut in downtown Brooklyn on Saturday, December 2. It will be the second Apple Store in Brooklyn and the tenth within the five boroughs. 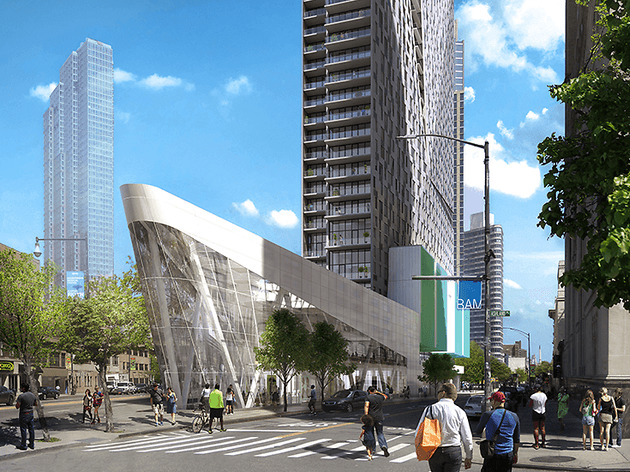 The new location, officially located at 123 Flatbush Avenue, is situated on the ground floor of the brand-new, 35-story 300 Ashland building, which is wedged on a triangular block just north of Atlantic Terminal and the Barclays Center. The opening comes a little more than a year after Brooklyn’s first Apple Store opened in Williamsburg. That shop broke from Apple’s signature clear glass design, opting instead for an exposed brick, loft-esque vibe that (arguably) meshes better with the neighborhood. The same can’t be said for the new downtown location—it will have an exterior as transparent as Apple’s plot to take over the world. Fittingly, a Whole Foods is also coming to the ground floor of 300 Ashland (when it rains, it pours). The new store will host a grand opening celebration at 10am on Saturday.